This living room looks both fresh and moody at the same time, which is the sweet spot if you ask me, yet so difficult to achieve. 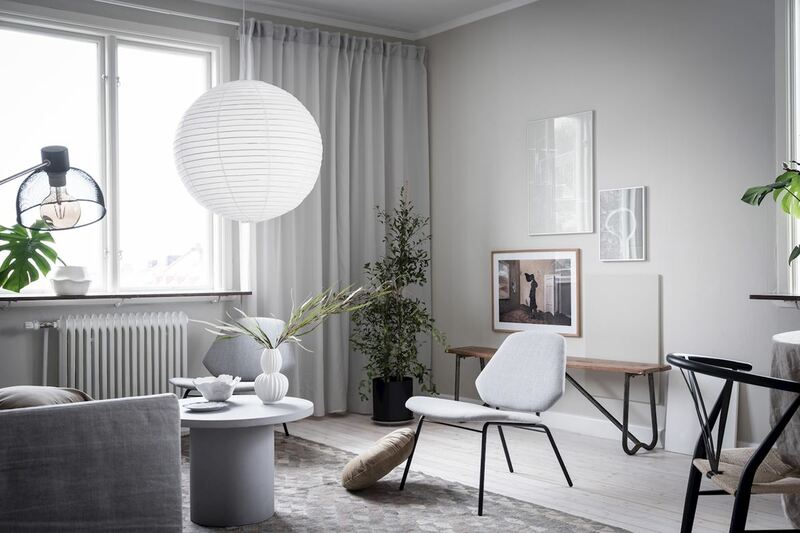 The wall to wall and ceiling to floor curtains help a lot with achieving this look and dimming the sunlight a little. 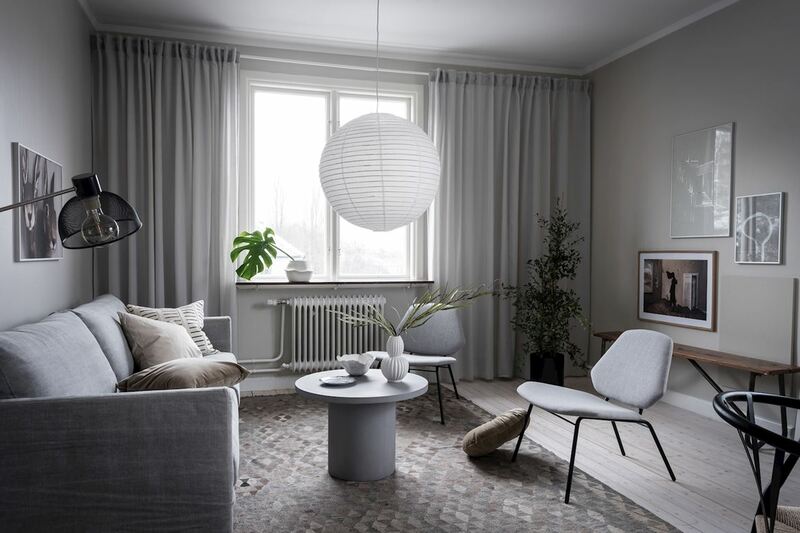 The fabric sofa and area rug give the room a very soft look and the lighter furniture pieces combined with green plants add a fresh touch to the space. 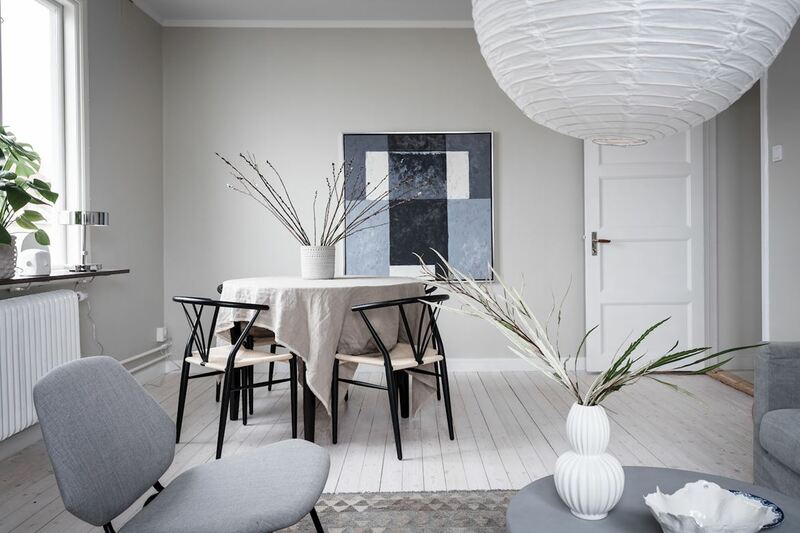 The round dining table with the CH24 wishbone chairs in black* on the other side of the room work very nicely there as well and I love the addition of the art piece against the wall which adds a subtile touch of color. This entry was posted in Interior Inspiration. Bookmark the permalink. I´m so in love with this blog!